(1973) "Same Old Song and Dance"
The album version of "Dream On" (4:28, as opposed to the 3:25 1973 45rpm edit) was re-issued in late 1975, debuting at number 81 on the Billboard Hot 100 chart on January 10, 1976, breaking into the Top 40 on February 14 and peaking at number 6 on April 10. Columbia Records chose to service Top 40 radio stations with both long and short versions of the song, thus, many 1976 pop radio listeners were exposed to the group's first Top 10 effort through the 45 edit. "Dream On" was first played live in Mansfield, Connecticut at the Shaboo Inn. In a 2011 interview, Tyler reminisced about his father, a Juilliard-trained musician. He recalled lying beneath his dad's piano as a three-year-old listening to him play classical music. "That's where I got that Dream On chordage," he said. Tyler says that this was the only song on the band's first album where he used his real voice. He was insecure about how his voice sounded on tape, so for the other songs, he tried to sing a bit lower and sound more like soul artists, such as James Brown. The song is also famous for its building climax to showcase Tyler's trademark screams. The main riff and chorus of the song were sampled in the 2002 song "Sing for the Moment" by rapper Eminem on The Eminem Show that also features a solo from Joe Perry. The song is composed in the key of F minor. The original 1973 issue of this 45 (45894) has a shorter edit of "Dream On" (3:25). Most of the intro has been edited out and the first chorus is replaced with the second chorus. The second issue from 1976 (10278) contains the album version (4:28). Long a concert staple, the song's piano part has been played live by Tyler. The band has also played "Dream On" with an orchestra on a couple of occasions. One of these performances, conducted by Michael Kamen, was performed live for MTV's 10th Anniversary (in 1991) and included on the soundtrack for the movie Last Action Hero. Additionally, in 2006, Steven Tyler and Joe Perry performed the song live with the Boston Pops Orchestra at their Fourth of July spectacular. On September 19, 2006, Aerosmith dedicated the song to captured Israeli soldier Ehud Goldwasser. On September 22, 2007, at a concert in Atlantic City, New Jersey, Aerosmith dedicated the song to one of their fans, Monica Massaro, who had been murdered earlier that year. In August 2010, Tyler performed much of the song on a grand piano on top of the "Green Monster" at an Aerosmith concert at Fenway Park in Boston, before the rest of the band joined in to close out the song. On May 25, 2013, Tyler performed a brief rendition of the song live during the finale of the tenth season of American Idol. After the Boston Marathon Attacks, Tyler performed the song at the Boston Strong Concert. A coinciding video directed by Marty Callner was also created at the MTV 10th anniversary special performance with the orchestra. It also appears on both of the band's box sets. The song "Dream On" is part of the The Rock and Roll Hall of Fame's 500 Songs that Shaped Rock and Roll list. It is also ranked #173 on Rolling Stone's list of the 500 Greatest Songs of All Time. In 1988, Greg X. Volz formerly of Petra covered this song on the album Come Out Fighting. In 1988, the song was covered by The Mission on their album Children. In 1994, Andru Donalds covered the song for his self-titled album. In 1999, Ronnie James Dio, Yngwie Malmsteen, Stu Hamm, Gregg Bissonette and Paul Taylor covered the song for the Aerosmith tribute album Not the Same Old Song and Dance. Additional guitars were by the album's producers Bob Kulick and Bruce Bouillet. In 2002, "Dream On" was covered by Fisher on their Uppers & Downers dual-disc album. The cover version performed by Fisher was featured in the series-finale episode of the NBC drama Windfall. In 2002, an instrumental jazz cover of the song by Alex Skolnick Trio was included on their album Goodbye to Romance: Standards for a New Generation. In 2005, Michael Angelo Batio included an instrumental cover of this song on his album Hands Without Shadows. In 2007, electropop singer-songwriter Kelly Sweet covered the song on her debut album We Are One. In 2008, power metal band HolyHell covered the song during their live performance at Magic Circle Festival 2008 in Bad Arolsen, Germany. A recording of the performance was released on Magic Circle Festival 2008 DVD. In 2010, metalcore band Blessthefall recorded a cover of the song for the compilation cover album Punk Goes Classic Rock, which is part of the Punk Goes... series. In 2010, Neil Patrick Harris and Matthew Morrison covered the song as a duet in the TV series Glee. In 2011, Reece Mastin, winner of the Australian edition of The X Factor, covered this song for his eponymous album. In 2011, American post-grunge band Cold covered this song which later appeared on their fifth album Superfiction as bonus track. In 2012, Anastacia covered the song for her fifth studio album It's a Man's World. The song was released as album's lead single, only in Austria, Germany and Switzerland. In 2013, Martha Wash (of The Weather Girls fame) covered the song for her album Something Good. In 2014, American Idol winner of season 13 Caleb Johnson performed the song and released a studio version for the deluxe edition of his album Testify. In 2016, Postmodern Jukebox featuring Morgan James covered the song on the PMJ YouTube channell. Danny Gokey sang this song on season 8 of American Idol in 2009 during the Top 4 round. He received negative reviews from the judges, and was also mocked in many media outlets for a long, ear-splitting scream at the end of the song. Andy Mac Unfraidh performed the song during the live shows of second series of The Voice of Ireland. Amanda Brown sang this song in the live playoffs of season 3 of The Voice. "Dream On" was covered by the American rock band Train on an episode of the MTV show Icon, that was dedicated to Aerosmith. In 2002, the song was sampled by American rapper Eminem for his song "Sing for the Moment", from his album The Eminem Show. Joe Perry played the guitar solo on the track and Steven Tyler also sang the chorus for the track and Eminem said "sing", "sing with me" and "come on" in the chorus. In 2011, the song was sampled by Immortal Technique on his song "Angels & Demons", on his album The Martyr. This song was parodied in the opening sketch of Saturday Night Live, "Rock for Michael", on October 9, 1993. This song was also used in ESPN SportsCenter's "Images of the Century", a video montage about memorable moments in sports history from the 20th century. The video montage was played at the end of the final installment of SportsCenter in 1999. The song made an appearance as the closing theme to the Disney movie Miracle, as well as the trailer. A live, orchestrated version of "Dream On" was also used in the movie Last Action Hero. It was used in the opening cut scene for the Tecmo video game Dead or Alive Ultimate. It was used in a video tribute to Ken Griffey, Jr. in his return to Seattle on June 22, 2007. A re-recorded version of the song appears in Guitar Hero: Aerosmith. 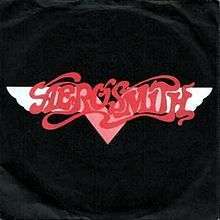 It was one of the four songs that Aerosmith re-recorded for the game. It also appears in the demo for the game. Before Guitar Hero: Aerosmith was released, the song appeared as free downloadable content for the PlayStation 3 and Xbox 360 versions of Guitar Hero III: Legends of Rock to promote the release of Guitar Hero: Aerosmith. The song was available from February 16, 2008 to February 18, 2008. "Dream On" appeared in Episode 49 of Cold Case, sung as Detective Rush witnessed the victim and his then-girlfriend as they were at the time of his death, driving into the distance in a vintage car. "Dream On" is the title and featured song in episode "Dream On" of the Fox show Glee, performed by Matthew Morrison and guest star Neil Patrick Harris in their audition for the stage musical Les Misérables. "Dream On" also appeared in the movie trailer of Argo which was released on October 12, 2012. "Dream On" also appeared in the movie trailer of Turbo which was released on July 17, 2013. "Dream On" also appeared in the pilot episode of the FX television series Tyrant which premiered on June 24, 2014. "Dream On" was used as the background music for Adobe Systems' 25th anniversary of Photoshop TV spot. "Dream On" also features as the theme song for Techfest, which is Asia's largest science and technology festival. "Dream On" was used on a promotional advertisement for CNN's documentary on the 1970s entitled The Seventies. "Dream On" was used on a promotional advertisement for HBO to celebrate the channel's 25th anniversary in Latin America in 2016. "Dream On" was used on a promotional advertisement for CraveTV, Bell Media's video on demand service, to announce their availability as a standalone service (i.e. no television service subscription needed) in January 2016. The slogan used for this campaign was "Stream On", which bears a phonetic resemblance. "Dream On" was used on the introduction montage of Super Bowl 50. The song appears when director Ron Howard pulls actor Kevin Bacon out of the interview about him and numerous celebrities' best Super Bowl memories, and begins to interview players from both the Denver Broncos and Carolina Panthers regarding what it meant to play in the 50th anniversary of the Super Bowl. The version of the song is unknown. "Dream On" was used on a promotional advertisement for Walmart, aired during 2016 Rio Olympics. "Dream On" was sung by Adam Levine, Alicia Keys, Miley Cyrus, & Blake Shelton for the opening of The Voice season 11. 1 2 Greatest Hits (CD liner). Aerosmith. United States: Columbia Records. 1993 . CK 57367. ↑ Pandora's Box (CD liner). Aerosmith. United States: Columbia Records. 2002 . C3K 86567. ↑ "The Emancipation of Steven Tyler," Rolling Stone, May 12, 2011. ↑ "Billboard Hot 100 - 1976". Retrieved 2010-02-09. ↑ "Top 200 Singles of '76". Retrieved 2016-10-25. ↑ "500 Songs That Shaped Rock". Rock and Roll Hall of Fame. Retrieved November 15, 2014. ↑ "YouTube". YouTube. Retrieved 2016-07-27. ↑ Tom Hanks, Gary Goetzman (producers) (2015-05-19). The Seventies: Dream On (Television advertisement). CNN. ↑ "Walmart's new Olympics ad highlights American job creator".